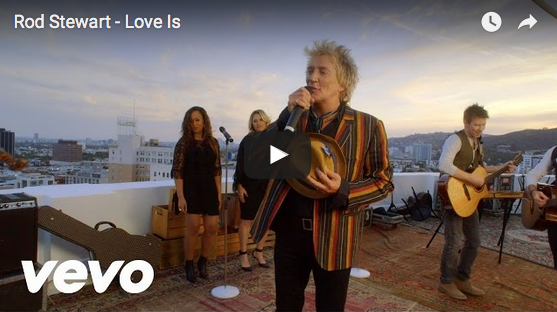 Merida Guitar’s endorser and Rod Stewart guitarist Emerson Swinford plays his C35-GACES in the official video for “Love Is”, a new release from Rod Stewart. The Merida C35-GACES brings together exceptional sound, beauty, and comfort into one awesome guitar. A highlight of this guitar is the beveled “Arm relief” at the lower bout. The bevel becomes part of the beautiful mahogany binding. The guitar features a book matched solid sitka spruce top, solid mahogany back and sides and mahogany bound body and headstock. The mahogany neck has a rosewood fingerboard devoid of inlays and in tandem with our highly detailed mahogany bound rosewood bridge adds a tradition of Merida’s understated elegance. The rosewood capped headstock features a Mahogany inlaid “M” as well as Der Jung® deluxe die cast tuners with special rubberized buttons for terrific grip.